Overview: The most popular grow light for cannabis in America this year by far is the Electric Sky ES300, or 300. 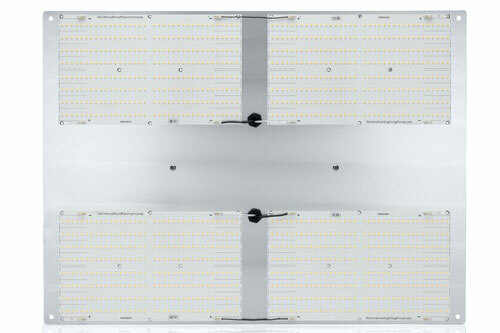 Built with the company’s unique wideband LEDs the full spectrum light emitted gives solid canopy penetration combined with the specialized linear optics which allow for wider coverage. The Electric Sky 300 stays cool and operates without fans. Plug-in the Electric Sky 300 grow light and see how this super-bright wideband spectrum works wonders for plants. Read our full ES300 review for more information. Overview: Highly efficient “Quantum Boards” coined by Horticulture Lighting Group are the latest hot trend in LED grow lights for cannabis growers. 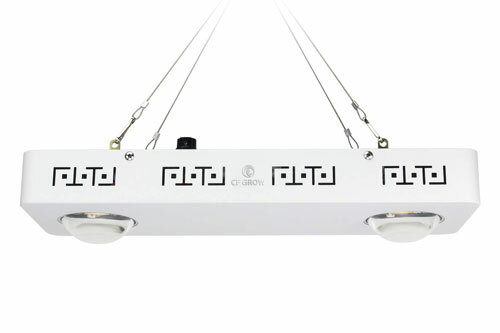 These highly capable lights for growing are made of a high number of unique mid-power LEDs strung together in parallel configurations on a board with a high powered current driver. Quantum board LED grow lights runs cool and spread light uniformly. 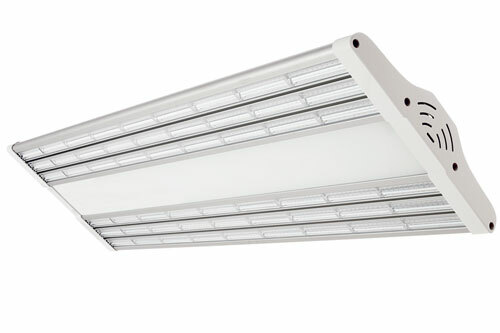 The HLG 550 V2 touts 1,152 Top-Bin Samsung LM301B LED’s, which produces over 1178 PPF at only 480 watts (avg power draw). Overview: Harness the power of intense LED light combined with ultraviolet and infared light wavelengths. 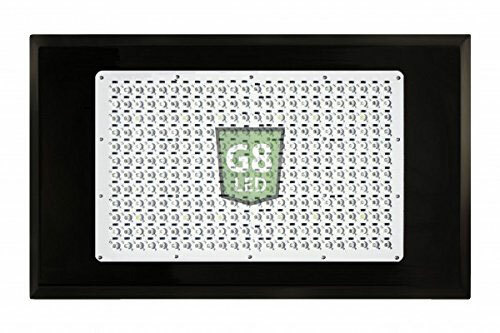 The G8LED 900 Watt MEGA LED Grow Light is highly respected in the cannabis community, winning awards such as the 2016 and 2017 “Best LED Grow Light” by HIGH TIMES Magazine and the 2018 Wiki Top Ten #1 LED Grow Light. Suitable for the entire growing process – veg to flower. An efficient and relatively affordable LED grow light for weed. Overview: The mid-range HLG 300 is a prebuilt quantum board LED grow light made by Horticulture Lighting Group. Enjoy the benefits of quantum board lighting at a reasonable price. Producing a very high PAR output while only pulling 285 watts from the wall, the HLG 300 is a super bright full spectrum LED grow light for veg and flowering. The quantum board LEDs are highly efficient and provide great light spread in the grow room/grow tent. 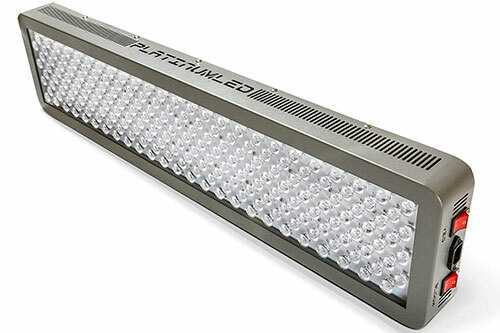 Overview: The Advanced Platinum Series P600 LED Grow Light features platinum LED bulbs said to have the highest par/lumen output per watt of any grow light. Ultraviolet and infrared light bulbs are incorporated alongside the Bridgelux and CREE LED emitter diodes to create the brand’s signature 12 band full spectrum light. Built-in 90 degree secondary focusing lenses, for penetrating light deep within the plant canopy. The VEG and BLOOM options switch between fine-tuned spectrum wavelengths for the perfect blend of light from seed until harvest. Overview: COB (Chips-on-Board) LED Grow Lights are made of multiple LED chips put together as one to produce powerful concentrated light. 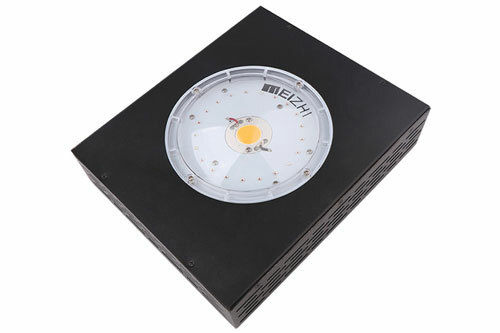 The MEIZHI 300W CREE COB LED Grow Light uses PAR optimized CREE LED chips to provide a full spectrum, highly penetrating light for plants. You can buy this COB grow light for a few bucks more than a hundred dollars, making it one of the more cost-effective fully-configured COB LED grow lights for weed. Overview: Combining the effectiveness of traditional LEDs and COBs together, this affordable COB light is setup with four high power 3000K Epileds COB chips and 16 3 watt Osram LEDs. 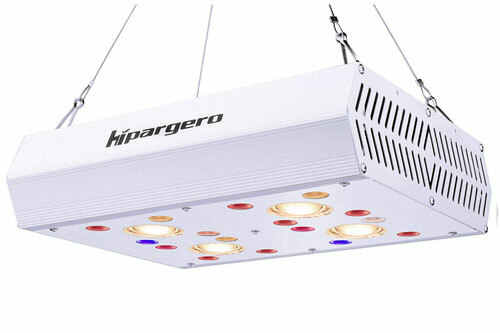 The COB LED Grow Light, Hipargero 800W sells for under 150 dollars and comes standard with daisy chain connections, bloom and veg switches for the best spectrum to match plant growing cycles. Full spectrum from IR to UV. Compared to other COB lights, this one stays exceptionally cool. 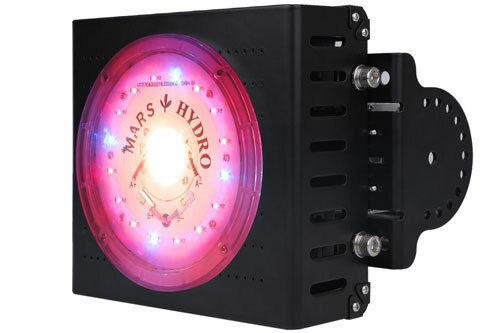 Overview: The MARS HYDRO COB LED Grow Light CREE 300W contains a big CREE LED 3590 in the middle surrounded by blue and red CREE and OSRAM LEDs. The light fixture operates without fans but uses a fin heat sink to dissipate heat silently, perfect for the likes of stealth closet grows. For a moderate price you can get this very effective COB LED light, good for any grow setup. Overview: This COB LED grow light by CF Grow is built with 2 bright 100W CXB3590 CREE COB arrays that shine a warm white 3500K full spectrum light. The high light intensity of COB LED grow lights help to penetrate through the canopy of bushy herbs while 90-degree glass lenses aid in light distribution. An authentic MEANWELL driver regulates the power of the CF Grow CREE CXB3590 COB LED Grow Light. Overview: The Niello COB D-series 600W has three powerful 200W COB Bridgelux/Epileds LEDs which produce a bright 3000K high PAR full spectrum wavelength, suitable for all stages of plant growth. A lightweight unit, weighing less than 5lbs. Built-in aluminum heatsink and 3 fans for cooling. 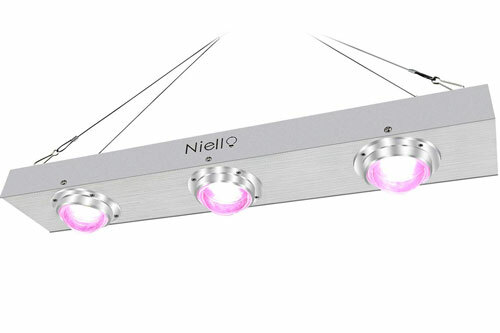 Priced under $150, this COB LED Grow Light by Niello is just about the best COB LED grow light you can buy for the money. Overview: An amazingly powerful beast of a LED grow light for the money, MARS HYDRO Reflector 960W LED Grow Light uses unique reflecting blades to produce refractory light beams to better spread the light coverage. Plug and play, the fixture is equipped with two on-board fans for cooling. The MARS HYDRO company is represented around growing forums and are respected as some of the best cheap LED grow lights for growing weed. 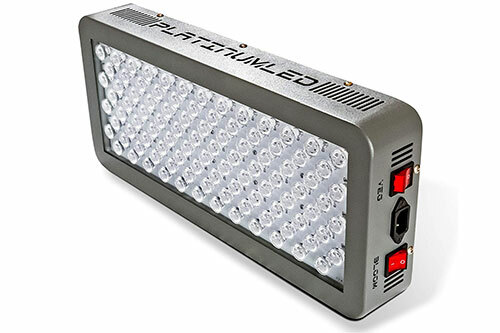 Overview: The best-selling LED grow light from the Advanced Platinum Series catalogue, the P300, contains the full 12 band spectrum of extremely bright light from UV to IR. The P300 comes at a cheaper price tag than the bigger models while roughly comparing to the PAR output of a 400W HID. Separate veg and flower settings. LEDs made in the USA. Uses the equipped fans to keep cool. Overview: A beast of light power at a good cheap price, the HIGROW 1000W represents some the higher quality Chinese-made LED grow lights. Features 90-degree optical lens that pop out from the fixture to optimize light concentration, spread and reflection. Veg & Bloom switch. 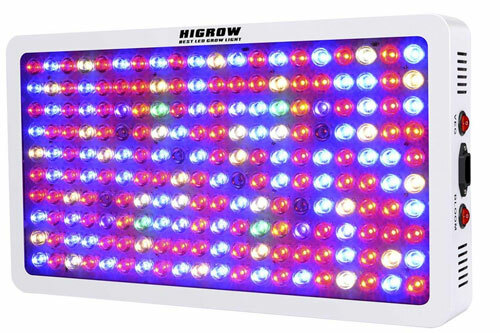 The HIGROW 1000W shines full spectrum 12 band light with integrated UV and IR bulbs to maximize yield. Considered a 1000W HID replacement grow light though actually pulls roughly 400 watts. 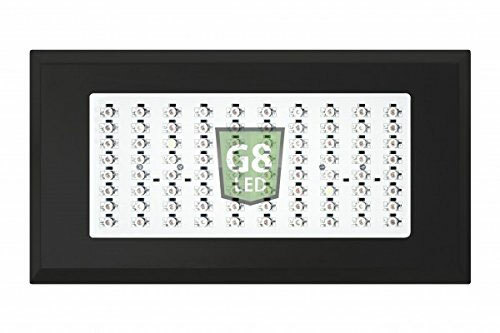 Overview: The G8LED 240 watt is the lowest-priced model in the award-winning lineup of G8LED 8-band full spectrum LED grow lights. The company prefers the 8-band wavelength for the highest yield per unit of energy consumed. G8LEDs don’t use a veg/flower switch, but recommend to optionally supplement their 90W Reds for a flowering boost without wasting any LED diodes. 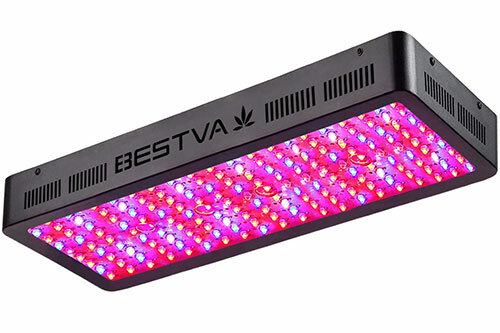 Overview: Part of the company’s Dual-Chip series of LED grow lights, the BESTVA 2000W Dual-Chip is made of 200 10 watt LED emitter diodes, producing a full spectrum that ranges from IR to UV. 4 fans are built into the fixture as well as holes punched into the board for cooling. 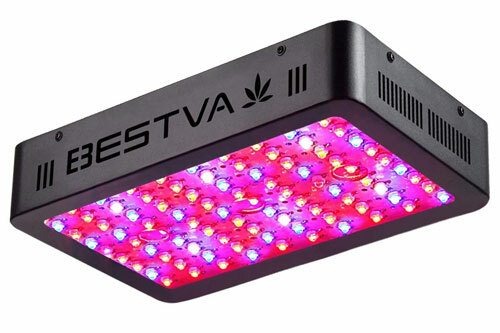 For the price, the BESTA 2000W is one of the best grow lights for weed plants. Overview: For just over 100 dollars this LED grow light gives you a full spectrum output with UV & IR, enough light for any grow room area sized up to 12 square feet. 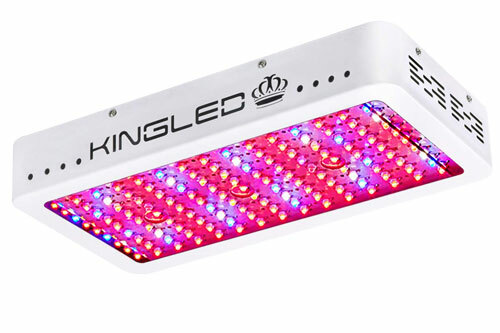 The King Plus 1500W Double-Chips LED grow light has one-hundred 10 watt LEDs built in with board holes and fans for cooling. This super bright LED grow light is a good choice for beginner growers short on cash. Overview: Experience the power of Quantum Boards cheap with the HLG 100 Quantum Board LED Grow Light. Incredibly efficient, the 192 Samsung LM561C S6 LEDs connected only use a total of 96 watts while producing over 15K Lumens of PAR. Horticulture Lighting Group is on the cutting edge of LED technology with their quantum board technology, prevalent in the cannabis growing community this year for the high efficiency and high yields the lights produce. 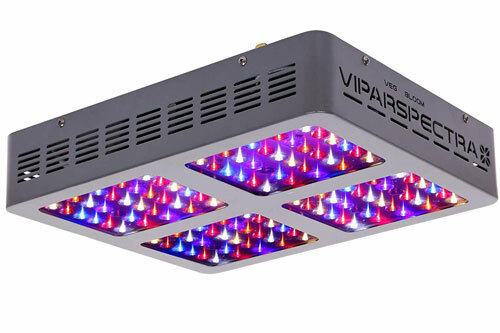 Overview: Full of positive reviews from happy pot growers, the VIPARSPECTRA Reflector-Series 600W LED Grow Light contains 120 5 watt LED emitter diodes that together emit an opimized veg and flowering spectrum at the flip of a switch. Two quiet fans and aluminum cooling heatsinks help with cooling and heat dissipation. VIPARSPECTRA LED grow lights are designed by experienced indoor growers. You can buy the VIPARSPECTRA Reflector-Series 600W LED Grow Light for a bargain low price, which offers considerable savings compared to a 600 watt HPS/MH grow light. 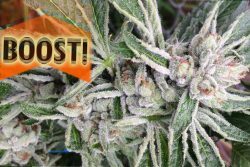 Overview: BESTA LED grow lights are popular among cannabis growers for their high lumen PAR optimized output and super affordable price-tag. On top of this the BESTVA company is highly reviewed for their excellent customer support. 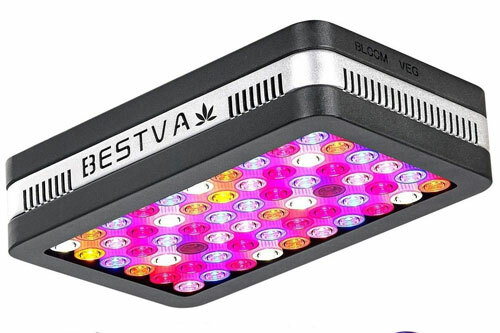 The BESTVA 1000W Full Spectrum Dual-Chip LED Grow Light is built with one-hundred 10W double-chip LEDs that give a wide spread of core coverage area of full spectrum light, all for just over a hundred dollars. Overview: A great deal at a little more than $100, the BLOOMSPECT 600W LED Grow Light gives you the most PAR light for a large growing compared to other cheap LED grow lights. The new models contain a secondary lens for maximum light spread. The 5 watt LEDs put out a full spectrum warm white 3500k type light than other more purple LED grow lights. High quality build with a big aluminum heatsink and fans for keeping the grow light cool. Veg/Bloom switch, easy to daisy chain. 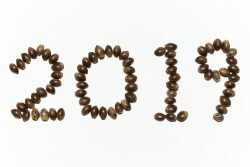 Tons of good reviews from growers. 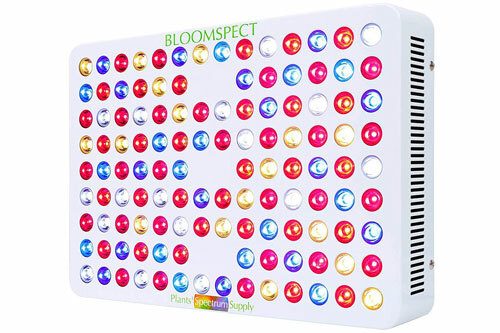 The BLOOMSPECT 600W may be the best LED grow light you can get in the low-price tier. 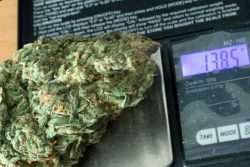 Overview: Priced right under $100 at the time of writing, the Roleadro 1000W Galaxyhydro LED Grow light is a very low-price LED grow light which uses Epileds 10 watt chips. Full spectrum including infrared and ultraviolet. The Roleadro 1000W Galaxyhydro LED Grow Light shines differently than it’s competitors, producing a higher ratio of red light for increasing yields. 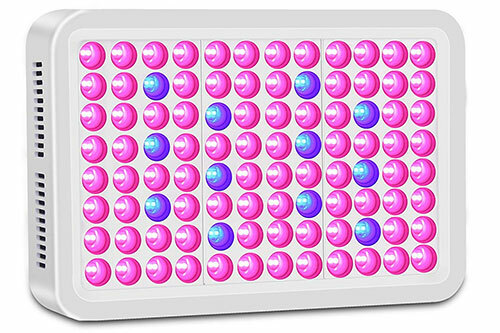 High PAR value (453umol at 18 in.) and Lumen output makes this grow light a full spectrum solution from seed to harvest. 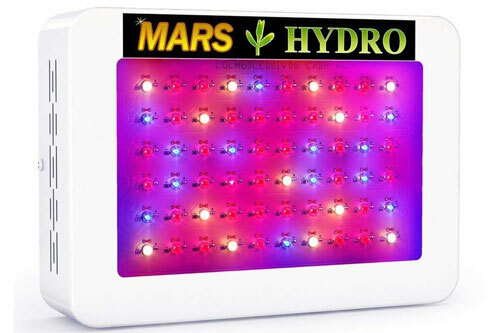 Overview: A best selling LED grow light in the fifty-dollar to one-hundred dollar range is the MARS HYDRO 300W LED Grow Light. 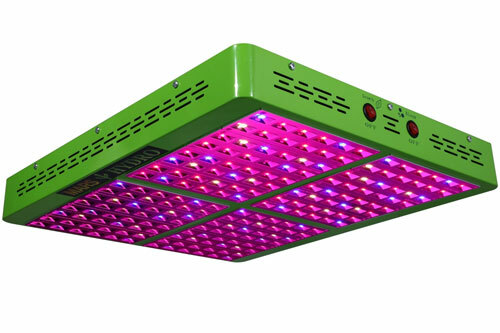 This small-sized LED grow light uses 60 Epistar 5W LED chips that provide adequate lighting for a 2 x 2 foot growing area, per unit. 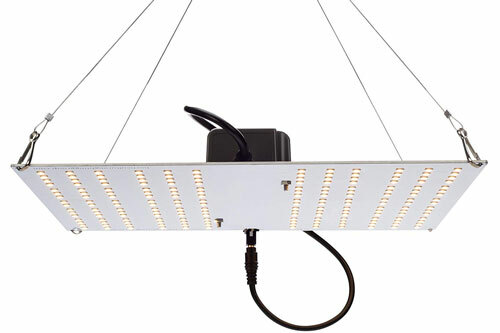 A single quiet-operating fan and large heat sink keep the grow light at cool operating temperatures. Tons of good reviews from growers back up this budget LED grow light by MARS HYDRO. 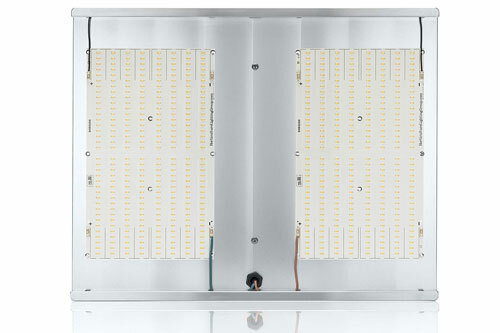 Overview: A unique LED grow light with an affordable selling price, the BESTVA Reflector Series 600W LED Grow Light features the new “Unicorn” radiator design and touts 60 powerful 10W LEDs pulling just around 132W of actual power. 10 watt LED chips are rare among such cheap grow lights for weed, which makes this BESTVA LED grow light one stand out from the competition. Switch on VEG mode for growing and BLOOM mode for flowering and seedlings. Overview: Perhaps the cheapest LED grow light with daisy-chain capabilities standard, the Lightimetunel Upgraded 300W LED Grow Light produces full spectrum light including UV and IR from 3 Watt Double-Chip LEDs. The new 60 degree reflector cups help to concentrate the light for maximum PAR and Lumens in the coverage area. If you’re looking for a bare-bones dirt cheap LED grow light this Lightimetunel Upgraded 300W LED Grow Light can be bought for a little more than fifty dollars a light. Overview: UFO lights were some of the first LED grow lights to hit the herb cultivator’s market years ago. Back then a model like this would cost around 400 dollars! 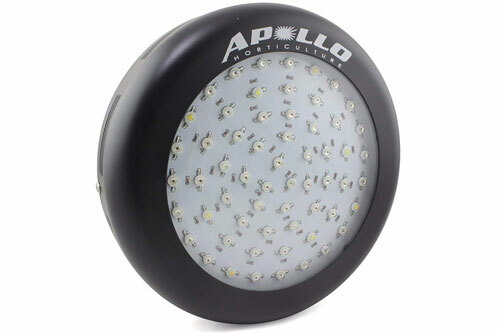 Nowadays you can get them much cheaper – Apollo Horticulture GL60 Full Spectrum UFO LED Grow Light features 6 band full spectrum LEDs powered by the 60 3-watt Epistar LED chips. Not as powerful as the other cheap LED grow lights but these UFOs still can be useful in the grow room. Just like how we can see only a certain range of light spectrum with our eyes, plants use a certain range of light spectrum to grow. When plants grow outdoors, the sun provides the full spectrum of light a plant needs to grow naturally. Sunlight gets absorbed by the plant’s pigment molecules for photosynthesis (growing). By looking at the PAR spectrum graph we can see that plants use some colors more than others. 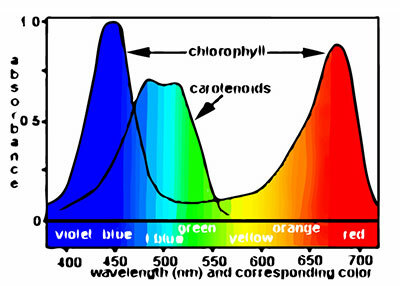 A plant uses blue light(400 nm – 500nm) and red light(620nm – 700nm) wavelengths in the greatest concentrations. This is why we measure the performance of LED grow lights in relation to PAR output rather than Lumens. You can check the PAR output of a grow light using a PAR meter (also called a PPF meter). This handy device measures per second how many photons of light hit the sensor. PPF short for Photosynthetic Photon Flux, is the amount of light photons that make contact with your plants every second. Only light in the ranges of 400nm to 700nm are measured. The unit of measurement is µmol/s. PPFD stands for Photosynthetic Photon Flux Density. PPFD, measured in µmol/(m2s) which we call micromoles or “uMoles” as slang. 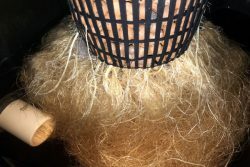 PPFD shows the density of PAR light in a given area, such as the density of PAR light at 12″ away from the LED grow light. We use PPFD to measure the PAR output of LED grow lights. Testing the PAR output of a LED grow light may give you an idea of how far away to hang your lights from the plant canopy for optimum growth. 600-1000 µmol/(m2s): High strength light, the best range for developing growth and flowering. 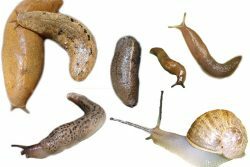 400-600 µmol/(m2s): Medium strength light, for early veg and stretching. 200-400 µmol/(m2s): Low strength light, good for delicate seedlings and clones. When designing full spectrum LED panels, manufacturers dial in on the color wavelengths that plants absorb the most of, while also providing other colors for a balanced light exposure. Most importantly, red light and blue light. A balanced full spectrum LED grow light will have not just one red and one blue color frequency, but a whole range of light available to plants. This provides plants will get a similar spectrum of light from that they would expect from the sun. Red light in nature helps to promote all-around growth and the flowering process. In nature red light comes out from the sun during late summer and fall, which can explain part of the reason buds form up phat then (the other part is light hours). Red-heavy grow lights do promote heavy budding and flowering, but this doesn’t mean that you should only use red light for your plants. Balanced with blue light, red light can be used during the whole course of a plant’s life – from seed to harvest. Red color light is needed by plants need to grow healthy. Interestingly enough, plants make the most amount of energy during photosynthesis from red light. Don’t be fooled by the color you see – even MH(metal halide) lights which are don’t look very red provide a fair amount of red light to plants. 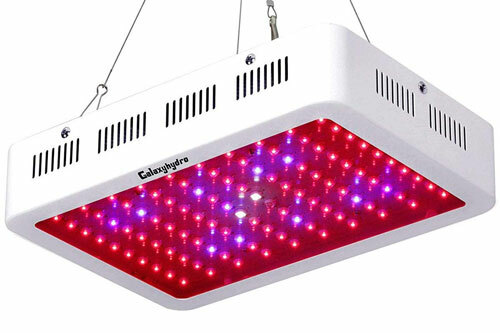 Many LED grow lights also are red-heavy. Although plants can be grown with pure red light, too much sole red light will not help early vegetative growth. Blue light is also required in good quantity for happy plants! Blue light is so important that plants literally don’t know where to aim their leaves for light absorption without it. Without blue light, vegetating plants seem to stay small and stunted – resulting in short stems and a squat stature. Many LED grow light users even add blue light rich fluorescent lights into the grow room during a plants early stages to get an extra boost of blue light. 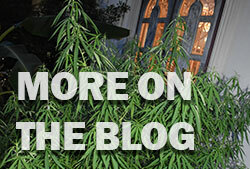 If you want tall and leafy plants, crank up the volume of blue light and you’ll get just that. Certain LED grow lights are designed with adjustable blue light and red light dials. However, you might just want to run them full blast red and blue turned up to 11 for the whole growth cycle unless you have special plant size and grow space goals. Too much blue light during flowering will result in stretchier buds, so if you see that be sure to cut some blue and pump up more red light. The newest LED grow lights usually have a few bulbs in the UV range for a few reasons. In nature, plants are exposed to the sun and are naturally exposed to the ultraviolet radiation that sunlight contains. When humans absorb UV radiation, we produce melanin to defend against the sun’s rays. 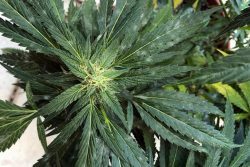 Cannabis on the other hand produces trichomes filled with cannabinoids, including the favored Δ 9THC and CBD to protect the plant from UV radiation. 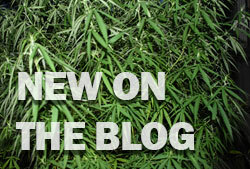 In essence, UV can be used to stimulate THC production. Outdoors, the sunlight at higher elevations gives plants more UV exposure. The growers who live up in the mountains swear their stuff is more potent due to the increased UV exposure making the plant produce more cannabinoids. We’ve noticed in Hawaii the weed in high-elevations gets super frosty and stony, although doesn’t yield as much as the low-elevation herb. More anecdotal evidence can be found in this hashish book written in 1965 about the finest quality hash being obtained from plants at high altitudes. 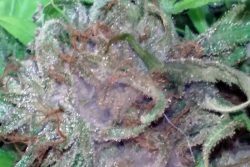 This is why many growers swear that it’s beneficial to use a little UV light to increase the plant’s production of THC which is why you see many LED grow lights with UV bulbs added. However do be aware that UV radiation overexposure has been known to degrade different plant processes, including damage to DNA and damage to physiological processes. Too much UV radiation has shown to induce plant mutations. and is harmful to humans. 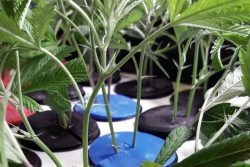 Outdoor growers don’t need to worry about UV overexposure, the only real danger of UV radiation to plants is from using artificial germicidal lamps to provide short wavelength(UVC) radiation to plants. In other words, you can burn up the plants with too much UV light. Most of the lights on this list feature a small amount of LEDs in the UV spectrum, at a safe level for plants and humans. Infrared (IR) and near infrared light consists of wavelengths over 700nm. Invisible to the human eye, infrared light is felt as heat. PAR would tell us that deep red (short-wavelength, 680nm), far red(>680nm) infrared would be at large unused by plants for photosynthesis. Only one photoreceptor, phytochrome, is known to respond to far red wavelengths. Phytrochrome helps plants regulate photo-sensitive changes, such as when to start the bloom process. As we learned from the Emerson Effect, research performed by Robert Emerson showed that plants simultaneously given these wavelengths grew at far higher rate than the sum of the red light and far red light alone. This gave reason to believe that plants may have two photosystems – one for utilizing short-wavelength light and another for using long-wavelength light. Infrared LEDs can be found in a lot of the LED grow lights above. The Electric Sky 300 has gained a massive following among cannabis growers for integrating these red wavelengths into their lights. There are many benefits to using LED Grow lights in your indoor grow room or even in a protected outdoor environment like a greenhouse. LED grow lights run cooler than MH/HPS HID grow lights and the bulbs last much longer. Compared to a HID indoor grow setup which requires a lot of electricity, cooling and ventilation efforts, LED grow lights can be setup effortlessly in a closet, grow tent or similar space without needing to completely renovate it. The beauty of LED grow lights is that they are as easy as plug & play for most situations. The fans and/or built-in heatsink will keep the grow light at a comfortable operating temperature. 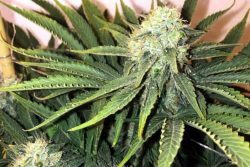 This means that you do not need to spend the money or effort into building a super deluxe indoor grow room in order to grow a healthy cannabis crop. Easy! Just buy a grow light, crack some seeds and get growing. As opposed to HPS and MH lights, LED grow lights run at a much lower wattage while producing more PAR light-per-watt for plants to absorb and grow with. This high efficiency and low power draw opens up the door for alternative energy sources, such as solar powered grows. 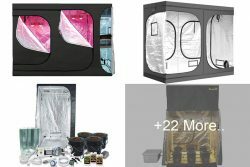 For a few hundred bucks you can buy a solar panel, deep cycle marine batteries and an inverter to make your own solar powered indoor grow room. To do it the cheapest way you can just run the light during the nighttime and move plants outside to grow with the sun during the day. 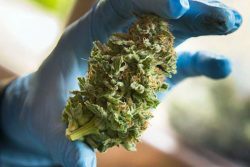 A big step up from fluorescent lights, LED lights have enough penetration to stack even the inside of cannabis plants dense with fat nuggets. Whether they’re in vegetative or flowering cycle, LED lights can do the whole job well done. The “plurple”, pink or white glow emanated from these grow lights is strong and bright enough to give you a dizzy feeling. Remember to wear eye protection when operating LED grow lights. Why is my 800W LED grow light only pulling 380W of power? When a LED grow light is rated at a wattage, such as 400W, 800W, 1200W, ect. what it really means is that the light emitted is rated at the same amount of usable light energy as it’s HID (HPS/MH) 400W, 800W, 1200W, ect. equivalent. The true power draw is always lower, which is an energy-saving plus! Modern LED grow lights of today surpass the earlier models of years ago in available spectrum, durability and light strength. Yields for indoor growers finishing cannabis under full spectrum LED lighting average 1/2 gram per watt among growers in the United States. This is considering the true power draw watt not the rated equivalent advertised. The ballpark 1/2 gram per watt figure takes into account that your grow room will follow the proper space guidelines of the grow light, and that the plants will be optimized for growth ie. 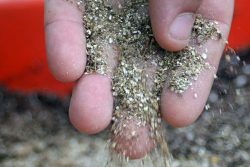 soil, water, nutrients and care. Of course yields vary from strain to strain. That’s part of what makes growing new strains so fun. 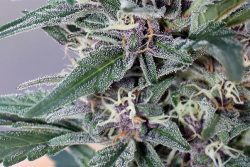 Check out these top ranked best sativa and top ranked best indica strains for some good cannabis strains to grow under LEDs. Disclaimer: Price ranges are subject to change. We do not promote or undertake in illegal activity.